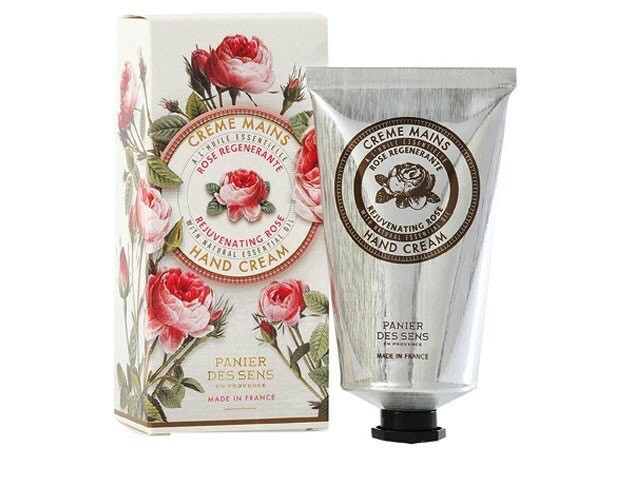 Rich in rejuvenating and soothing rose essential oil, this delicately rose scented Hand Cream protects and softens skin. Thanks to a formulation with 20% shea butter, this cream has an ultra-nourishing texture and is quickly absorbed leaving nothing but soft, supple skin, day after day. Apply regularly from fingertips to wrists. Made in France.